Born and educated in Paris, France, the late Michael Henry Wilson was a bicultural writer and filmmaker living near Los Angeles. He co-directed the first two shoots for “Myanmar Year Zero” – one in Los Angeles when Suu Kyii adressed the Burmese community, and then the final shoot in Myanmar in March 2014. He died of cancer a few months after returning to Los Angeles and had been unaware of his illness when in Myanmar. His two passions, movies and history, were evident in his projects. His most recent full-length documentary Reconciliation: Mandela’s Miracle is about Nelson Mandela and his historic achievement to end apartheid and usher in a new era for South Africa (PBS, Warner Bros. Netflix, 2010). Additionally, Clint Eastwood: A Life in Film is an intimate portrait focusing on Eastwood’s approach to filmmaking (Arte, 2007) and has been widely aired in Europe. Along with Myanmar Year Zero, Wilson was also co-writing and co-directing with Martin Scorsese a three-part documentary series on classic British cinema. This followed A Personal Journey with Martin Scorsese, the celebration of 100 years of American movies that he co-wrote and co-directed with Scorsese (BFI-Channel 4-Miramax). The three-part series premiered at the 1995 Cannes Festival, was nominated for the British Academy Awards, and toured more than thirty international festivals. Wilson also wrote and directed In Search of Kundun,” a theatrical documentary that chronicles Scorsese’s encounter with the Tibetan people and the Dalai Lama (Canal Plus, 1998). Shown widely on the festival circuit, In Search of Kundun received the Humanitarian Award at the United Nations Festival in Geneva. Earlier, he had written and directed the Scorsese episode of “A Day in the Life of the Cinema” (Canal Plus, 1995). He has authored the television special The Cinema of James Cameron (Canal Plus, 1999). He also probed renegade filmmakers in the feature-length documentary Hollywood Mavericks, co-authored with Todd McCarthy and Florence Dauman (American Film Institute-NHK, 1989). His other credits include writing and associate-directing the seven-hour TV show When the Lion Roars – The MGM Story (Turner Entertainment), which won the Emmy for best informational series in 1992. 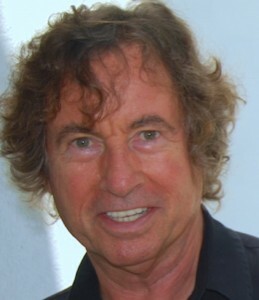 With extensive production experience on both sides of the Atlantic, Wilson worked on several award-winning pictures as producer Anatole Dauman’s assistant at Argos Films (Empire of Passion, The Tin Drum). He still serves as a multi-faceted film consultant to production and distribution entities both in the US and France. As a screenwriter, he has long been associated with director Alan Rudolph. A creative consultant on The Moderns (1988) he co-wrote with him the surrealistic comedy Intimate Affairs (Showtime, 2008), starring and produced by Nick Nolte, as well as The Last Saturday and Baroness, currently in development. Also a film historian, Wilson has published several books, including The German Expressionist Cinema (Editions du Signe, 1971), Borzage (with Henri Agel, Avant-Scène, 1971), A Personal Journey Through American Movies (Miramax Books-Cahiers du Cinéma, 1997), Raoul Walsh or the Saga of the Lost Continent (Cinémathèque Française, 2001, awarded the Prize for Best Film Essay by the French Guild of Film Critics), Jacques Tourneur or The Magic of Suggestion (Pompidou Museum, 2003), Martin Scorsese – Interviews with M.H. Wilson (Pompidou Museum/Cahiers du Cinéma, 2005), and Clint Eastwood – Interviews with M.H. Wilson (Cahiers du Cinéma, 2007). Updated versions of the last two albums were released by Cahiers du Cinéma in 2011 under the titles Scorsese on Scorsese and Eastwood on Eastwood. His lastest books included, “Mud or the Sky: The Story of G.I. Joe,” (Wild Side) “A la Porte du Paradis,” (Armand Collier 2014) and “Michael Mann’s Thief” (Wild Side 2015). A longtime contributor to the French monthly review Positif, Wilson has interviewed at length most major filmmakers of the old and new Hollywood. His articles have appeared in numerous magazines, anthologies and encyclopedias. His current work in progress is At Heaven’s Gate, a uniquely personal survey of American cinema revisited through 55 directors, from D.W. Griffith to David Lynch. Wilson, whose PhD thesis was devoted to German Expressionism (1969), lectured on the economy and aesthetics of film at Paris University throughout the 1970’s.